About Us | Graber Buildings, Inc. Since 1995, Graber Buildings has been erecting quality post-frame structures in the east central Illinois and western Indiana area. Beginning with a three man crew, the company has grown to employ 4-6 man building crews and a concrete crew. 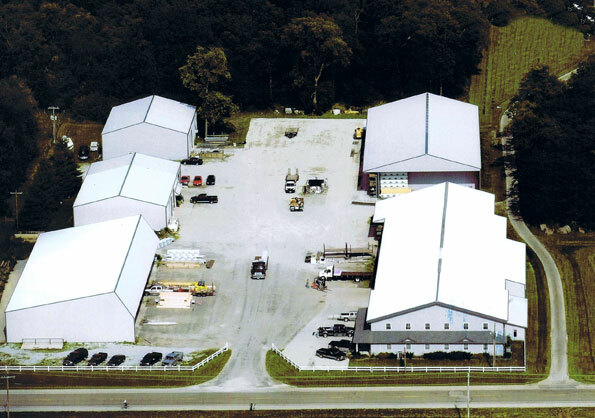 Our facility is located on the same property as the Graber Building Supply lumber yard. This setup gives us first-hand knowledge of the quality and availability of our building materials, thereby ensuring that our customers receive a quality building in a timely manner. In 2005 we built our own trim shop where we can shear and break metal in up to 20 ft. lengths. This allows us to create custom pieces and closely monitor the trim details for our buildings while cutting down on delays and damage. Only the highest quality materials are used in the building process. We believe our building details set us apart from the competition. Our employees are fully insured through Workmen’s Comp and your building is insured against loss from beginning to end. For many of our customers, their building is a lifelong dream come true. Our mission is to help our customers realize their dreams with a meaningful and memorable experience. Our office staff is happy to assist customers in designing the perfect building for their needs. For everyone at Graber Buildings, customer satisfaction and quality construction is the No.1 goal. We value our customer relationships and your building is our priority.